Summer is my absolute favourite time of year! I love it when August comes along and the parks are filled with the local families relaxing in the beautiful sunshine. I personally love getting my extended family together on a sunny August weekend and heading to one of London’s vast open parks to enjoy a relaxed picnic! As we all don’t normally all get together much over the year, the Summer holidays is the best time for everyone to have a chilled day out in the sun. One thing I try and ensure is that there is a good variety of proper food at our picnics, as these can often be taken over with sugary snacks and unhealthy drinks. However, with a little bit of preparation it’s easy to cook up a transportable treat! This is one of my favourite picnic recipes as it is wholesome, full of flavour, and easy to cook before a picnic! There are only a few steps to this dish which means it won’t take too long to prepare, and there a plenty of vegetables so you won’t feel too bad eating it! Inspired by Caribbean food, this dish will wake up your tastebuds due to the jerk seasoning. However the addition of peppers and onions balance this by adding sweetness to it too. 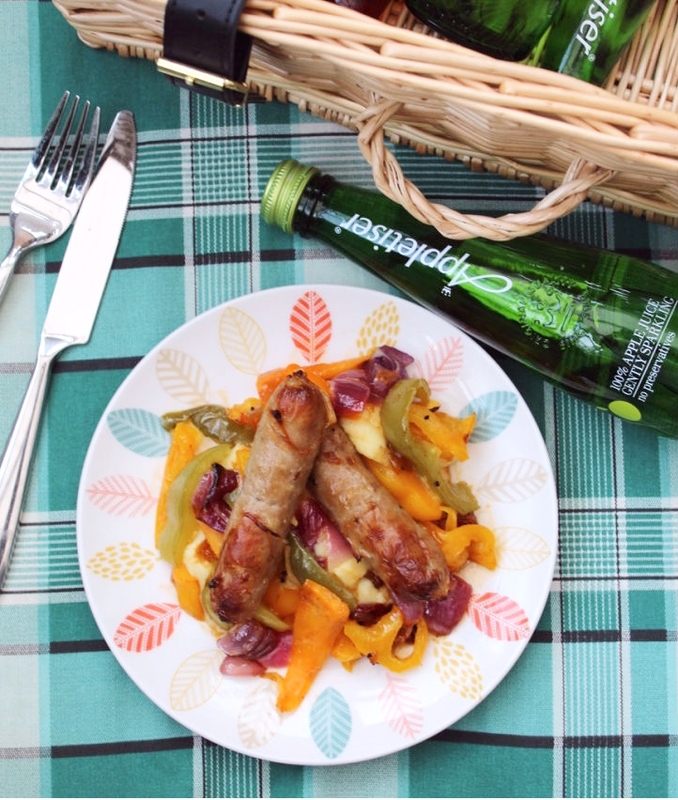 Add a glass of chilled Appletiser to the mix and you have the perfect pairing! 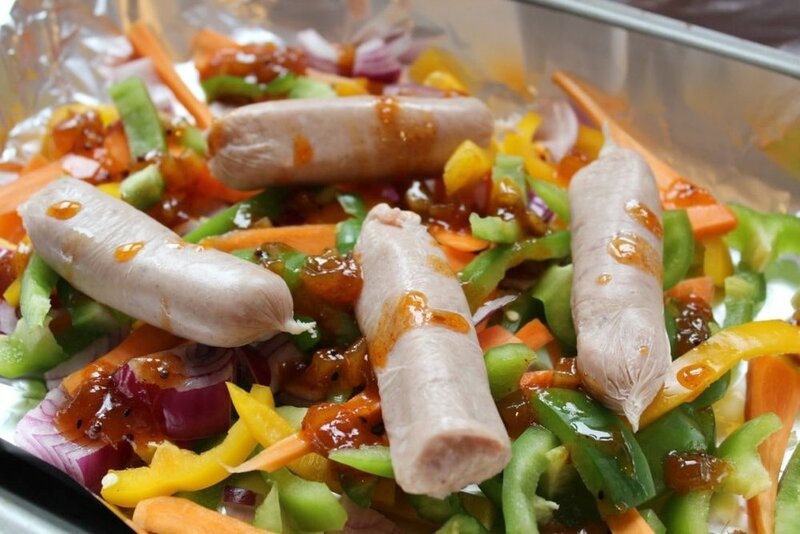 The slight tartness in the Appletiser compliments the spice in the sausages and enhances the flavour of the caramelised vegetables perfectly. Give it a try for your next outing in the sun and let me know what you think of it! 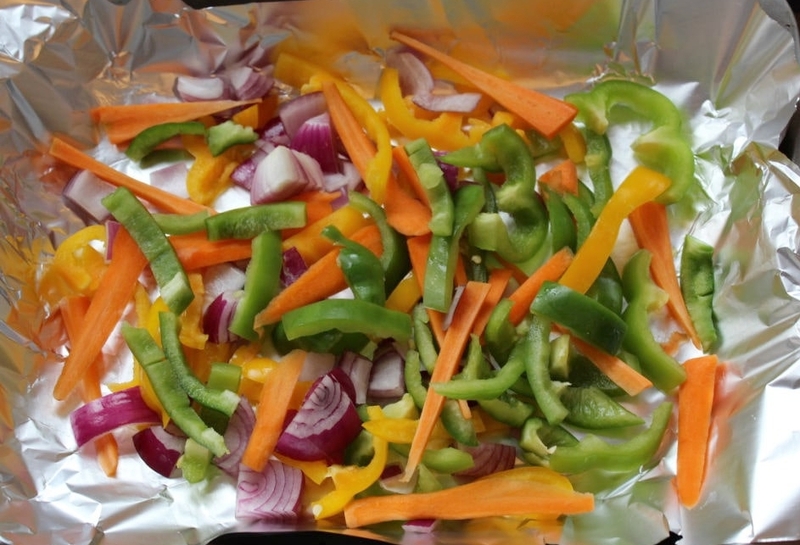 Place the sausages on top of the vegetables and heat in the oven at 180 degrees for 20mins, or until thoroughly cooked. Add potatoes to the boiling water and cook until tender, about 15 minutes, then drain. In a saucepan heat 2 tbsp of butter and 150 ml of milk over low heat until butter is melted. Mash the potatoes slowly blend into the milk mixture until it is smooth and creamy. Season with salt and pepper to taste. Once of the elements are ready you are ready to can compile the dish! I usually add the mashed potato first, followed by the vegetables and then the sausages. Then enjoy out in the sun with a glass of sparkling Appletiser! Let me know if you give dish a try at your next picnic and how you found it!